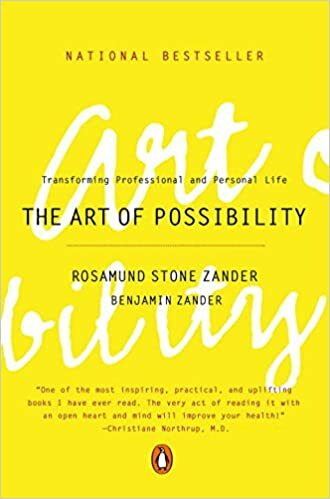 The Art of Possibility (book tip) – value first! This practice we refer to by the catchphrase, it’s all invented , is the most fundamental of all the practices we present in this book. When you bring to mind ifs all invented, you remember that it’s all a story you tell — not just some of it, but all of it. And remember, too, that every story you tell is founded on a network of hidden assumptions. contains unwanted conditions and create other conditions or narratives that support the life you envision for yourself and those around you. We do not mean that you can just make any thing up and have it magically appear. We mean that you can shift the framework to one whose underlying assumptions allow for the conditions you desire. Let your thoughts and actions spring from the new framework and see what happens. Next Post → A True North for Lean-Agile?